Tomorrow is the first day of Winter! 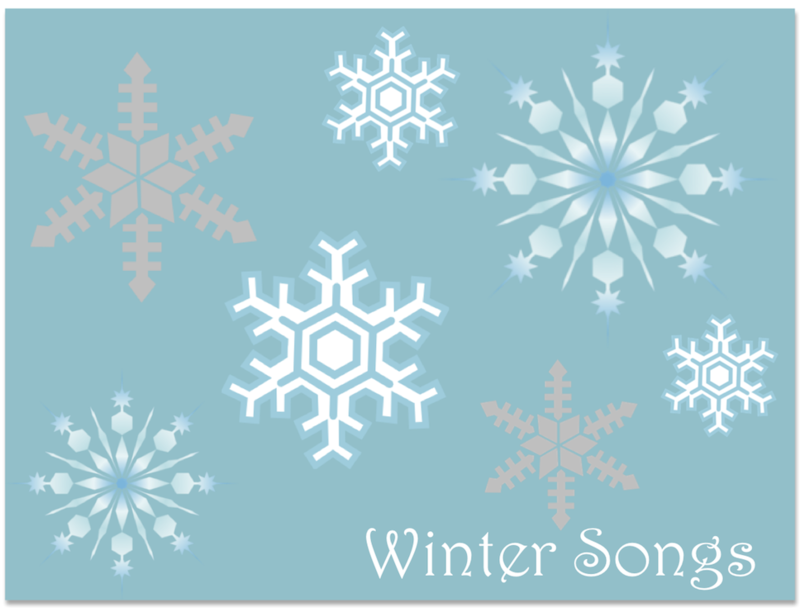 To celebrate, we’ve compiled a list of our favorite winter-themed songs for chilly days indoors. Of course, there are many that we couldn’t fit in our top 10. Feel free to add your personal favorites in the comments box below! We love this classic clip from the 2003 film. The First Movement of Winter creates imagery of a powerful, swirling snowstorm. Movement 2 is entitled “La Pioggia” (“the rain”, in Italian). In this Movement, the plucked strings imitate the sound of icy winter raindrops while the violin solo plays a quiet melody. The Third Movement is meditative and understated until the sudden return of the storm towards the end. Although the longest on our list (almost 10 minutes), this classical masterpiece is well worth a listen. Singer-songwriters Bareilles and Michaelson teamed up to write this simple, beautiful song for the 2008 album The Hotel Café Presents…Winter Songs. The Hotel Café is a live music venue in Hollywood where both singers performed in their early years. The video animation is adorable! This Holiday staple was written in 1934 and over 150 artists have covered it since! We love this version of the classic by Mraz. This song is originally from the 1997 animated musical film Anastasia. The haunting melody has stuck with us since we first saw the movie almost 15 years ago. Do you remember it? This piano version is captivating and impressive. This song is originally from 1945 and has been covered by many. Sing along with Dean Martin’s 1966 version! This one is the first track off The Rolling Stones’ 1973 album Goats Head Soup. Home for the Holidays was published in 1954 and first recorded by Perry Como that year. This version, recorded by The Carpenters, is from 1984. This song was one of the first to pop into our heads when compiling this list. Although it’s slightly melancholic (we promise, the next one is upbeat! ), we love this performance and the meaning behind the song. Winter is about Amos’ relationship with her father as she grew from a child to a woman. This performance shows Amos’ raw talent 20 years ago, right at the time when she released her first studio album Little Earthquakes. This video will definitely get a smile out of you! The Marimba Ponies are a children’s performance group from Japan. Watch and sing along with the talented and adorable group as they play Sleigh Ride on Marimbas and other percussion instruments. We love the little guy cracking the “whip”!